The museum fever continues! 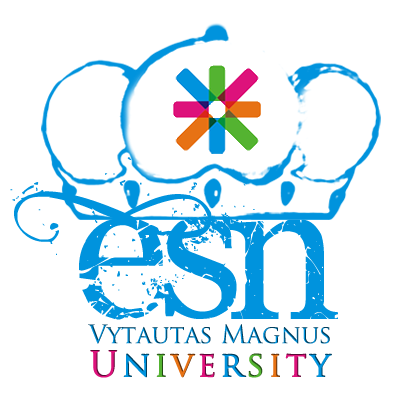 This Wednesday on 19th of March our ESN VMU team together with International students visited three of the most interesting museums in Kaunas. The first location where we stepped our feet was the museum of Soboras. This place was very different from the other places we have ever been: here we could not see anything but only feel, as in this museum we were all surrounded by the complete darkness. Also, this unusual museum of Soboras made some of us feel a little bit confused and even scared because here we could even get lost! Really, for some of us it took some time to find the way back to the light. However, this extraordinary place was worth visiting, as it enabled us not only to understand what blind people feel, but also to defeat our fear of darkness! Another place we decided to go was the Tadas Ivanauskas Museum of Zoology. In this huge museum we were amazed by the variety of exhibits. Here we saw lots of different stuffed animals, starting from the smallest ones like the butterflies, spiders or frogs and finishing with the huge animals like crocodiles, elephants, bears and even giraffes. Undoubtedly, we were all happy to have a chance to see such a big and beautiful collection. The last but not the least of our museums was the art gallery of famous Lithuanian collector Mykolas Žilinskas. Probably, when you hear a word “gallery“ you imagine some rooms with lots of paintings, don‘t you? Well, yes, there were really many artworks of this type and some of them even were brought from foreign countries! However, this art gallery really differs from the other - here we could see various pieces of art. We were able to enjoy porcelain collections, antique furniture or even very old jewellery. It really took our breaths away! So, this was our little trip to some more museums of Kaunas. And we promise it‘s not the last one! Also, we would like to say special thanks to all of the international students for coming, we hope you really enjoyed your time.